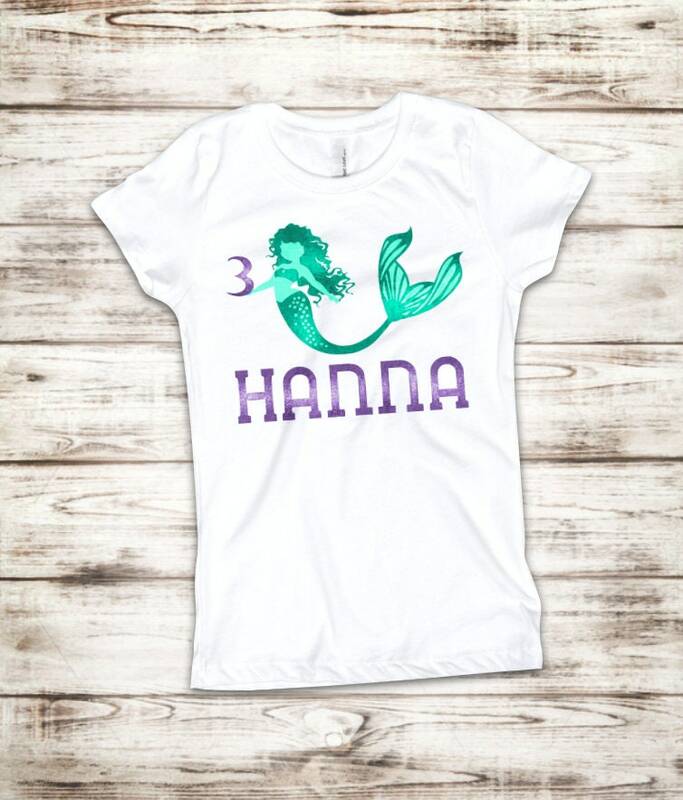 These shirts are perfect for a mermaid birthday, or adorable to wear even after the party's over! 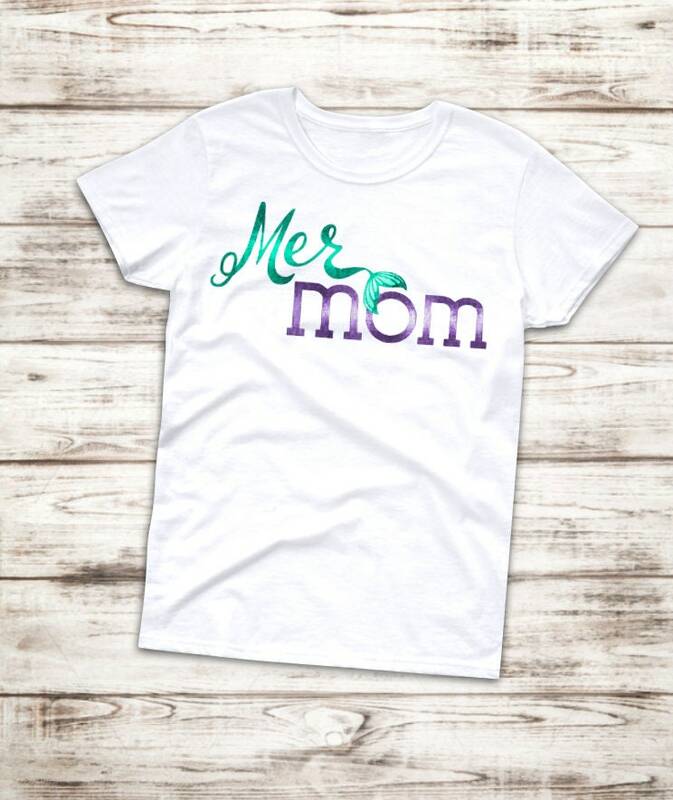 White short sleeve shirts are finished with metallic, glitter, and matte personalization. 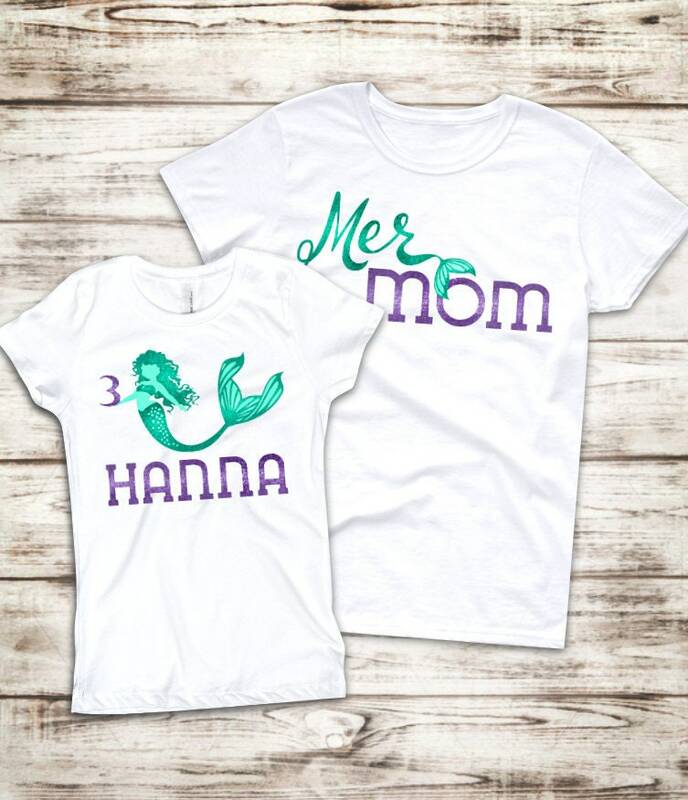 Mom shirt is ladies' dolman cut in adult sizing, and Mermaid Name shirt is girls' cut in child/youth sizing. Colors are purple and teal/aqua, unless requested otherwise.